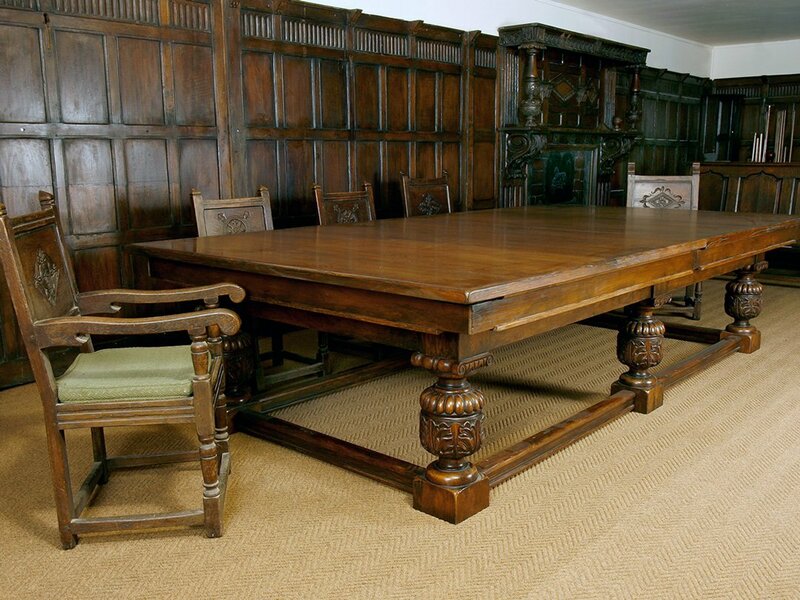 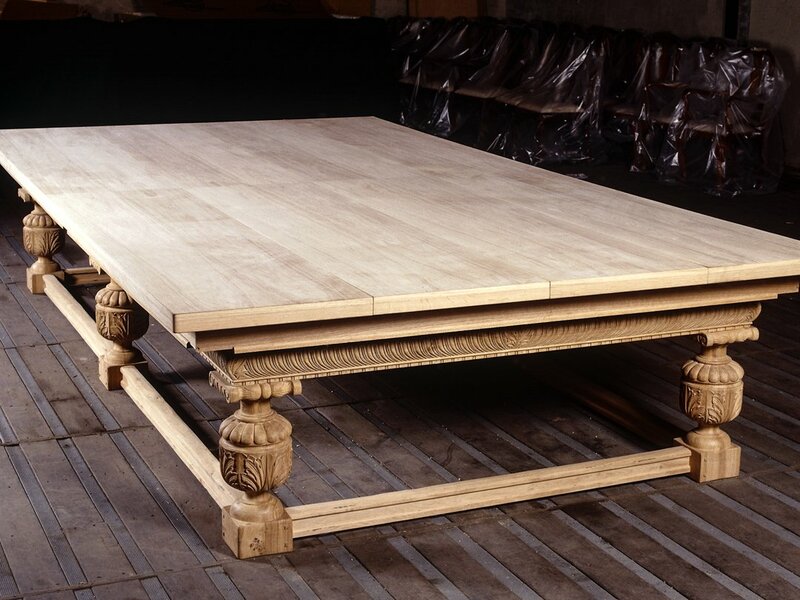 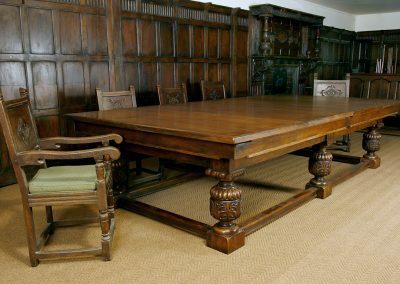 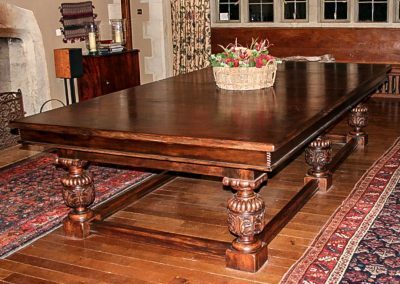 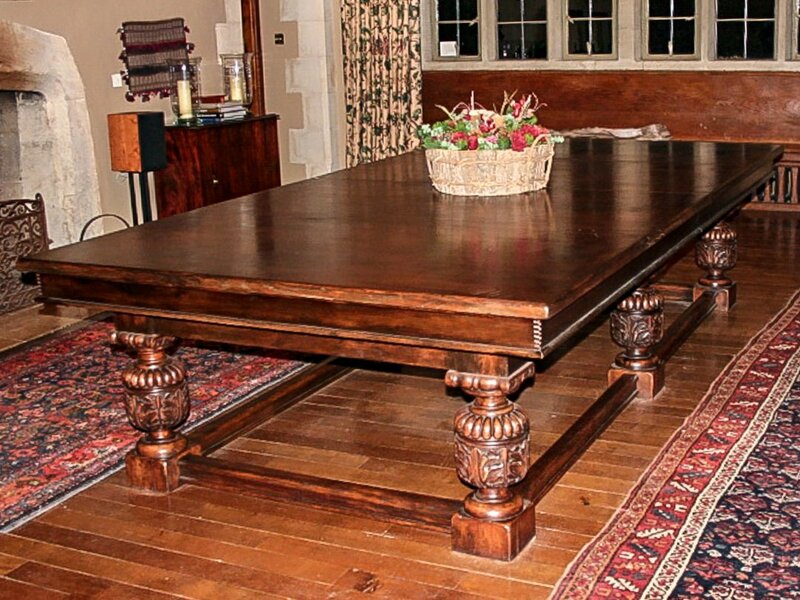 Our classic Refectory style dual-purpose table, with beautifully leaf carvings on the legs, which can also be continued on the frame and / or cushion surround.The stretchers are also optional, and smaller tables can have only 4 legs. The tables shown here include full-size Snooker dining tables, one of which uses our precision-engineered Empire widn-up mechanism to raise te table for playing, and lower for dining. 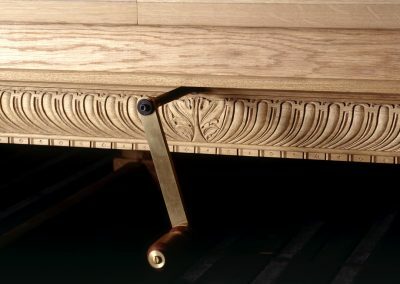 The other features our pneumatic ‘Blower’ or Air-lift mechanism, controlled by electronic push-buttons and using a compressor and gas-rocking pistons to raise, lower and leve the table. 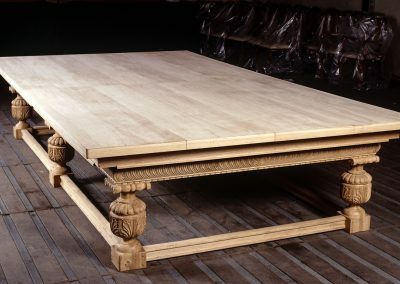 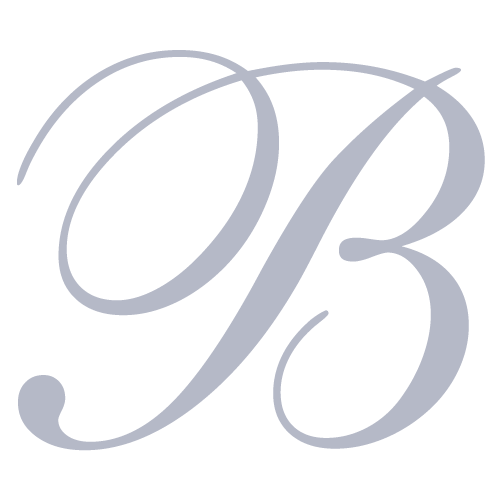 Available in sizes from 8 ft – 12 ft, it looks as good in Walnut, Mahogany or Ash as it does in the Oak variations pictured.